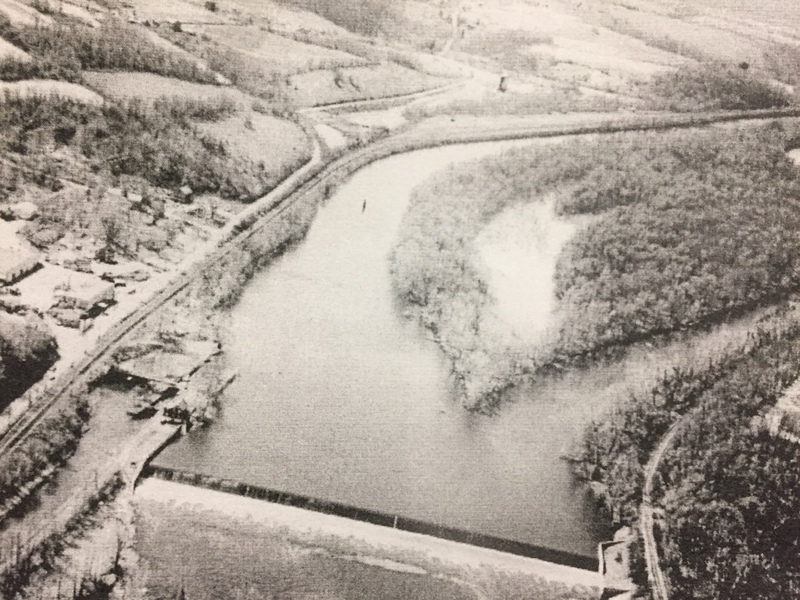 The Hidden History of Island Park—1827-2017 tells the story of the island in the Lehigh River upstream from Chain Dam, which was known in the past as Uhler’s or Smith’s Island and has been part of Hugh Moore Park since the early 1960s. Now an overgrown, uninhabited wildlife sanctuary, accessible with difficulty only by boat or canoe—and the subject of much speculation and even misinformation online– Island Park was the scene of a variety of activities during the 19th and early 20th centuries. With maps, photographs, postcards, and artifacts, the exhibit traces the island’s history from its acquisition by the Lehigh Coal and Navigation Company (LCN) in 1818 and construction of the causeway, canal towpath and the Change Bridge which made Smith Island an integral part of the navigation system in the 1850s. An ice harvesting industry began around the same time in the “Gut,” the spring-fed pond that bisects the eastern end of the island and empties into the Lehigh via a small outlet. 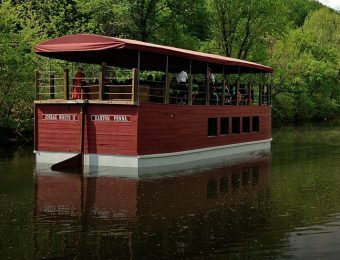 The jingle of mule bells as they pulled canal boats was drowned out in 1894, when the Easton Trolley company leased the island from the LCN and constructed an amusement park which it named Island Park. 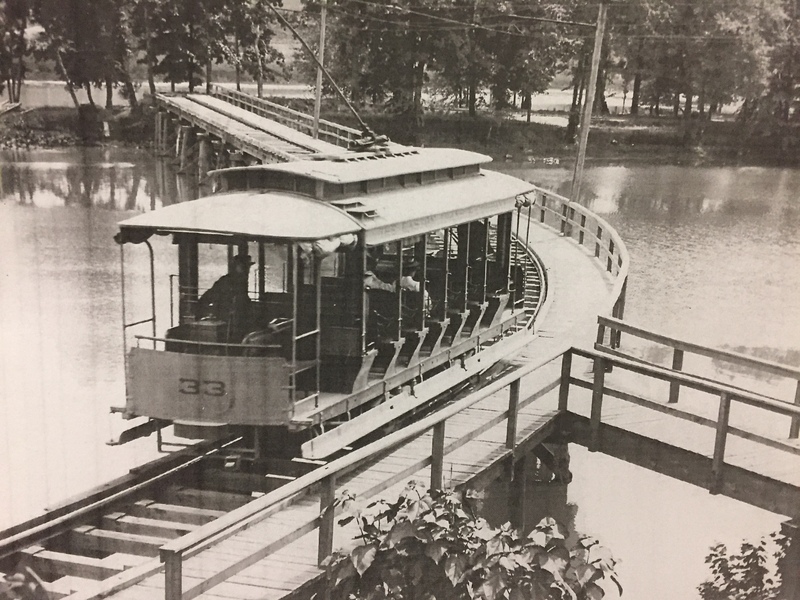 The attraction was immediately a huge success, with crowds eagerly boarding trolleys for a five cent escape from city heat to the cool shade, fresh breezes, and refreshing waters of Island Park. 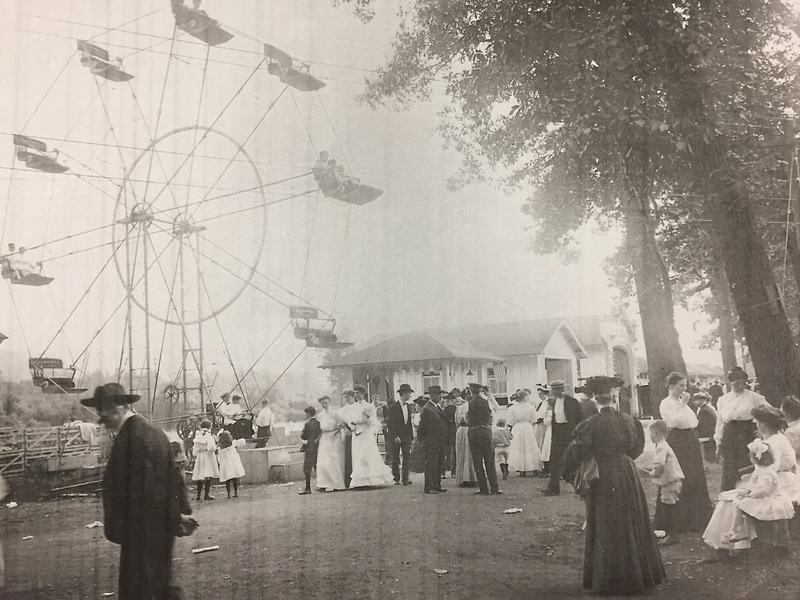 Rides, games, dancing and free entertainment, boating, and swimming in a planked-bottom part of the river drew thousands of people who picnicked, played, and promenaded in the park. Even some winter festivals were held, but it was winter, and heavy ice flows on the Lehigh in 1917 and again in 1919 that doomed the park by destroying the trolley trestle that brought visitors across the river. The LCN continued to use the causeway, towpath, and Change Bridge until the 1930s when the canal closed; the Change Bridge was destroyed by the 1955 floods of Hurricane Diane. 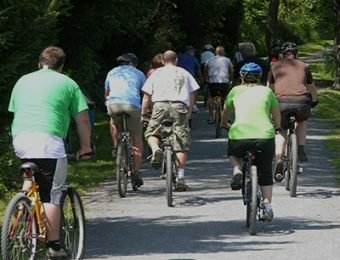 In 1962, the city of Easton purchased the island as well as section 8 of the canal and the land between the canal and the Lehigh River and created Hugh Moore Park. The exhibit and the video which accompanies it also presents photographs of Island Park as it is today. 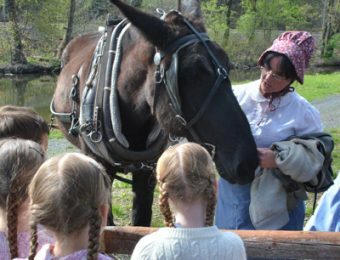 The exhibit drew from the National Canal Museum and Pennsylvania Canal Society’s collections, as well as loaned items from the Northampton County Historical and Genealogical Society and from Bob Pasquini, a long-time volunteer for NCM.